Superstorm Sandys surge carries a mixture of sea froth and sand over the sea wall onto Beach 138th street in Belle Harbor, Rockaway, New York. 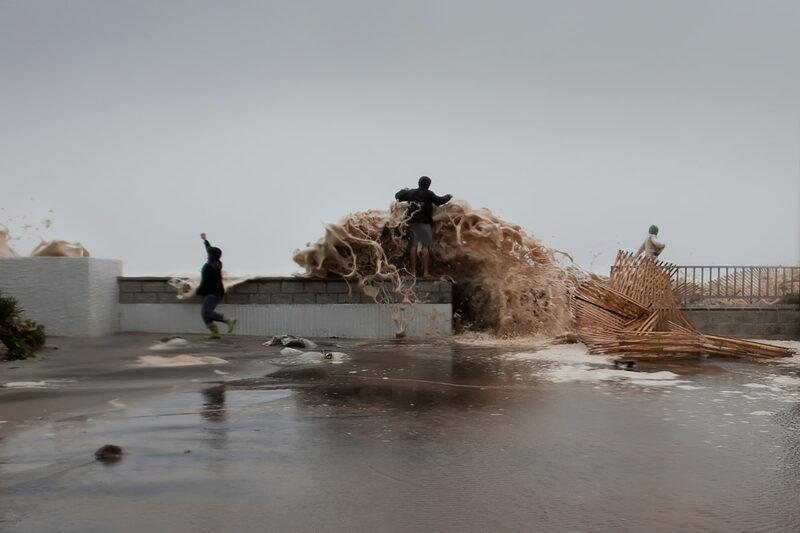 By the morning of October 30, 2012, the sea wall and the houses connected to it were destroyed. 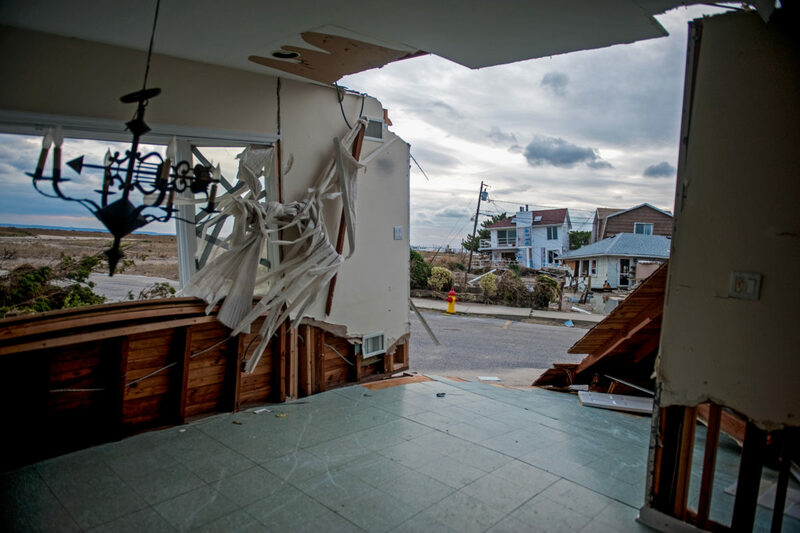 Destroyed homes in Rockaway neighborhood of Queens, New York City. James Culleton stands in what used to be his brothers bedroom on the ground floor of Jamess home. Jamess brother, disabled and wheelchair-dependent, was evacuated before the storm hit. Six feet of water rushed into the ground floor, causing severe structural damage to the rear wall and ruining the furniture and other household items. 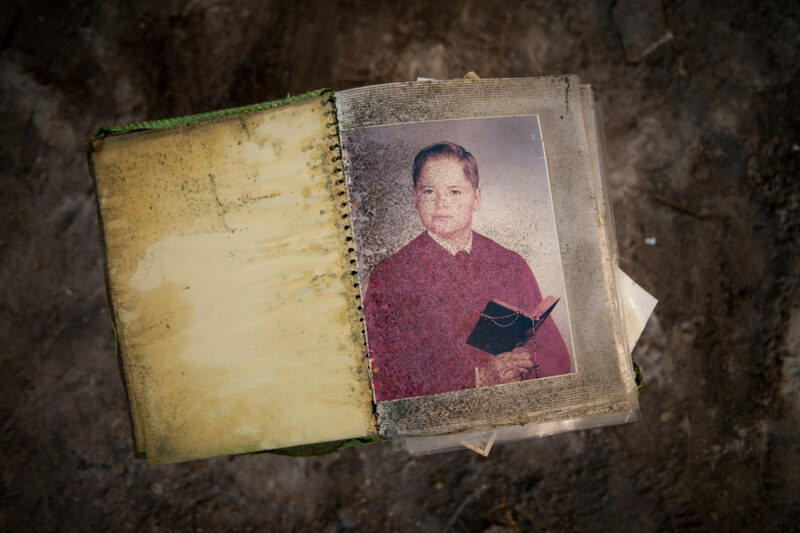 An undated photo of James "Frank the Fish" Culleton recovered from his home has developed mold after soaked during Hurricane Sandy's storm surge. it was like a phantom, like a devil in the night. Its just like being on a boat at night. You dont see it coming. James Culleton. 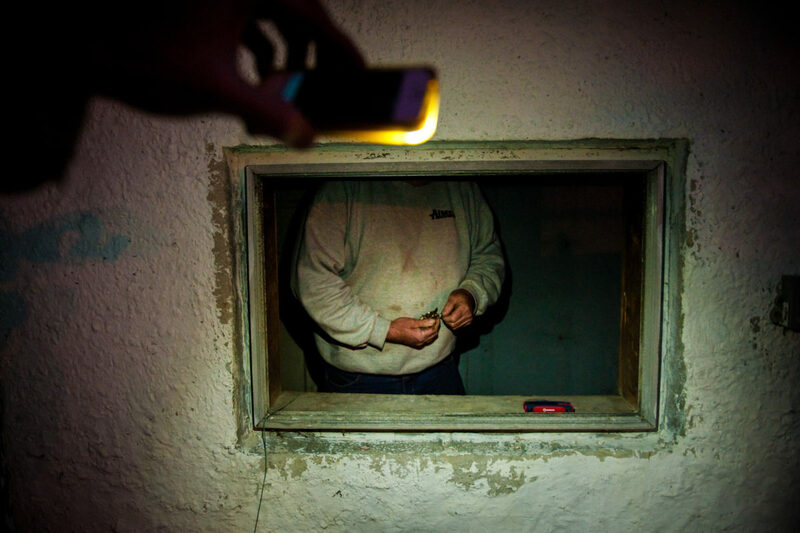 James Culleton searches for the proper key to lock his door at night to protect his few remaining intact possessions. 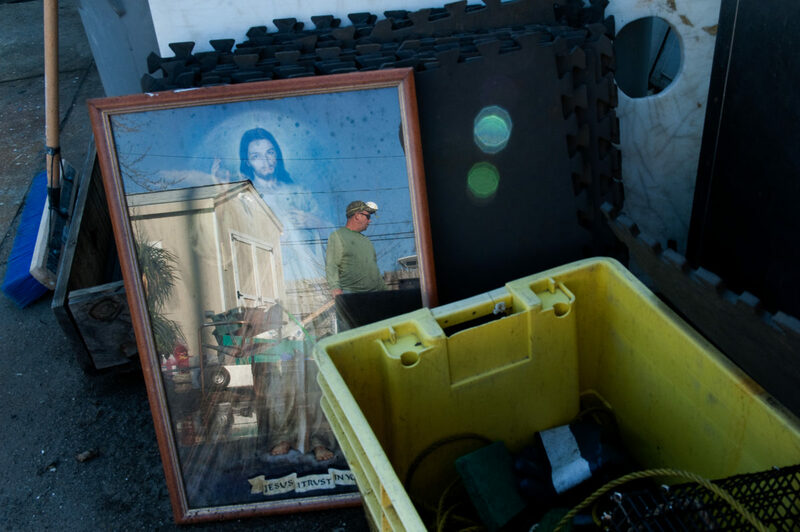 With no electricity for months after the storm, looting was a constant concern. James Culleton drives over the marine park bridge back into Averne after a trip to a hardware store for building materials. Two of James Culleton's commercials fishing poles sit in the upstairs bathroom of his home in Averne, Queens. George, a friend of James Culleton and part-time fisherman, takes a break from cleaning and sorting through the contents of Jamess home. Many of Jame's fishing equipment was store in sheds located on his property. 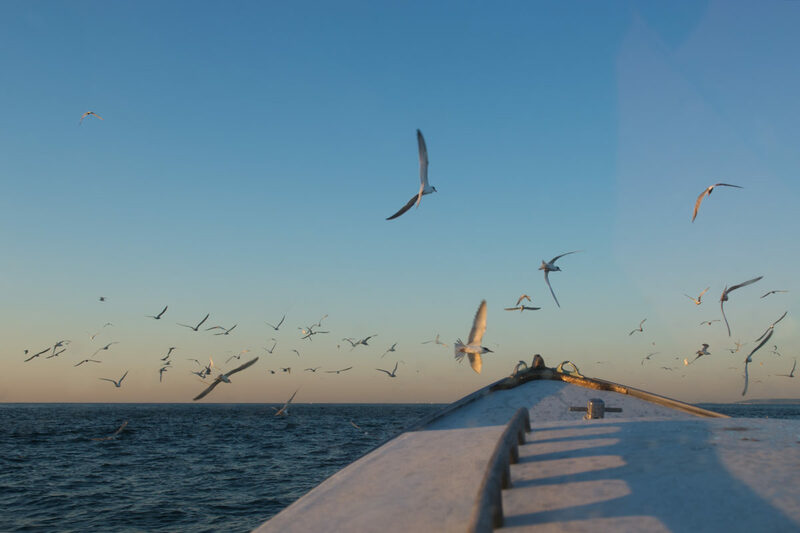 He lost all of their contents - fishing gear, boat electronics, ice machines, freezers, and refrigerators that contained hundreds of pounds of bait and fish. George, a friend of James's sprays down a fishing net. When the storm surge invades homes it brought with it a nasty mix of chemicles, motor oil, gasoline and other contaminantes. 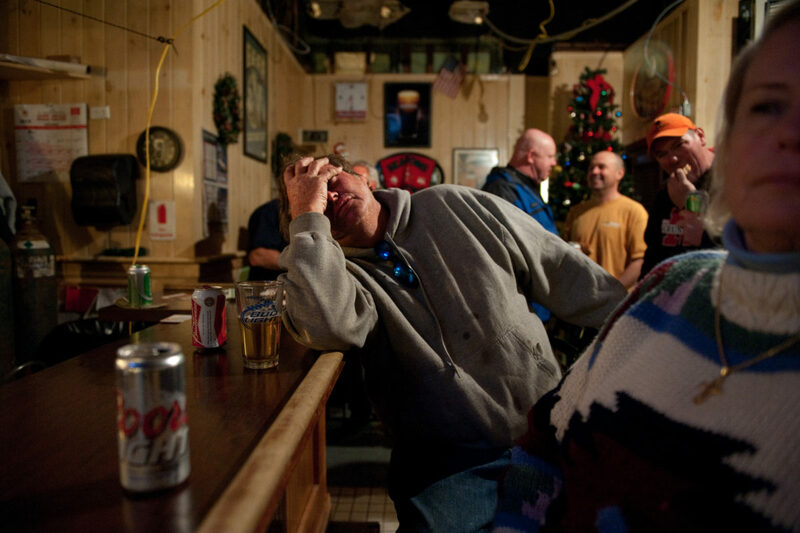 James Culleton sits in Rodger’s Bar on Beach 116th street in Rockaway Park, which he refers to as his "club med." 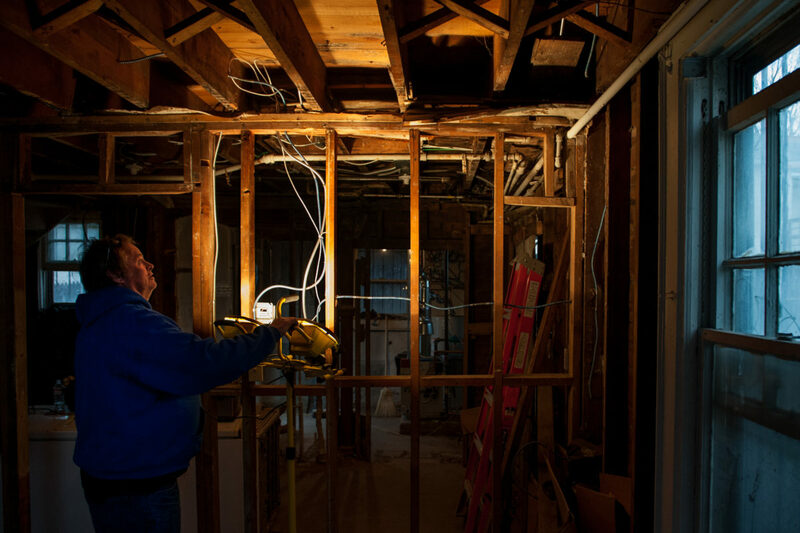 Four months after Hurricane Sandy hit, James still is waiting for help from local government to rebuild. 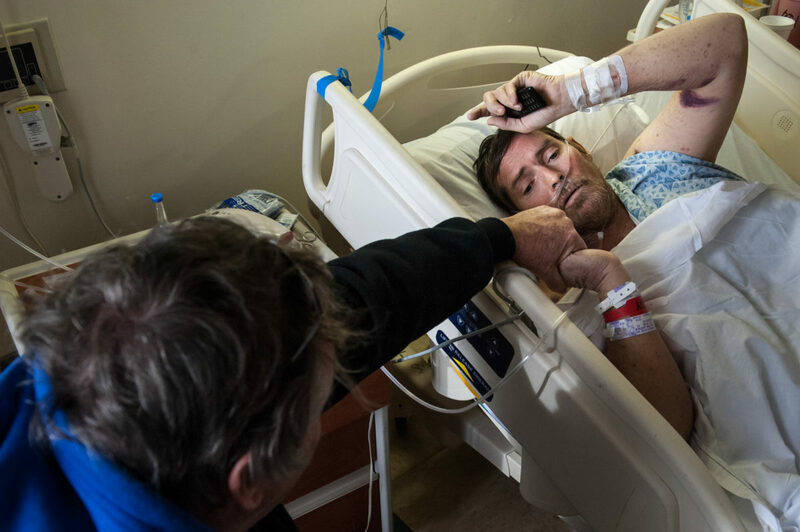 James Culleton visits his brother, Jerald, in the hospital after Jeralds leg was amputated below the knee. Jerald, who was disabled before the storm, lived on the first floor of Jamess home and depended on James to drive him to see his doctors. 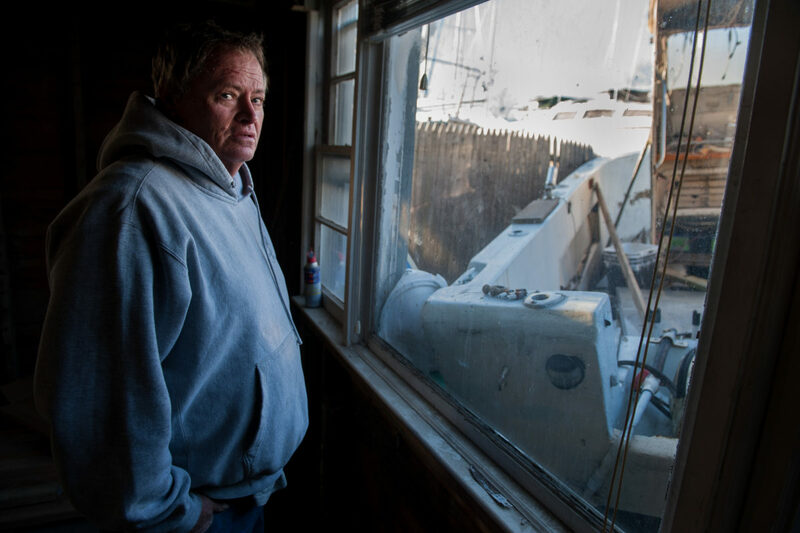 After Superstorm Sandy flooded both of Jamess trucks, transportation became very difficult, and Jerald was unable to visit his doctors. Jerald developed a leg infection that that ultimately cost him part of his leg. February 7, 2013. James Culleton finished paying off the mortgage on his home in 2011. After his final payment, he neglected to renew the insurance policy that had been wrapped into his mortgage payments. 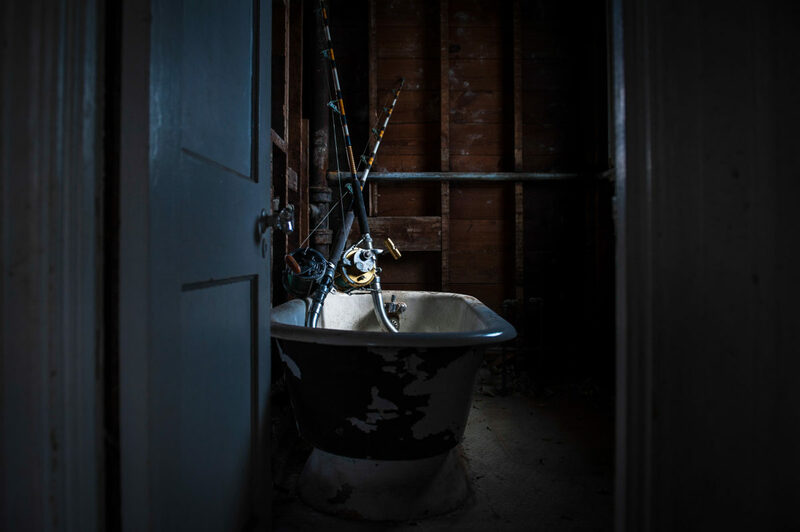 As a result, the damages to his home and property were entirely his responsibility, a burden that seemed insurmountable. 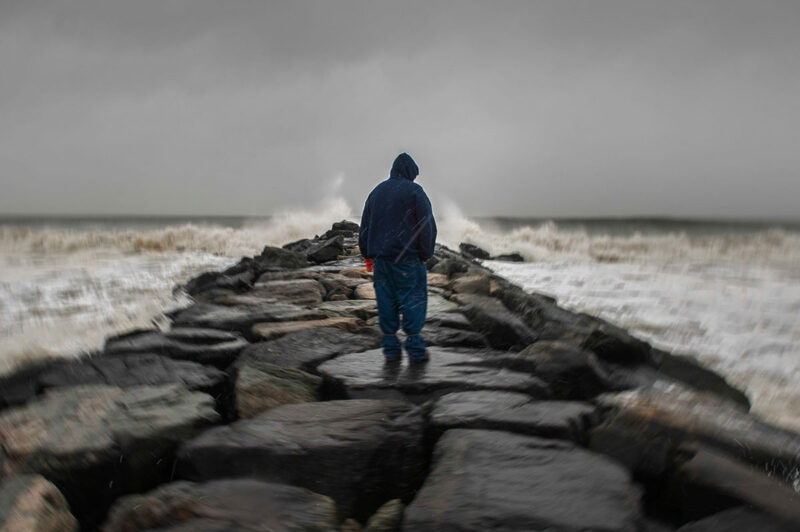 James Culleton stands on a jetty in the Rockaways watching the rough seas crash on the rocks. After a long and cold winter, the warm weather is welcome. James peers out on the bayside of the Rockaways. 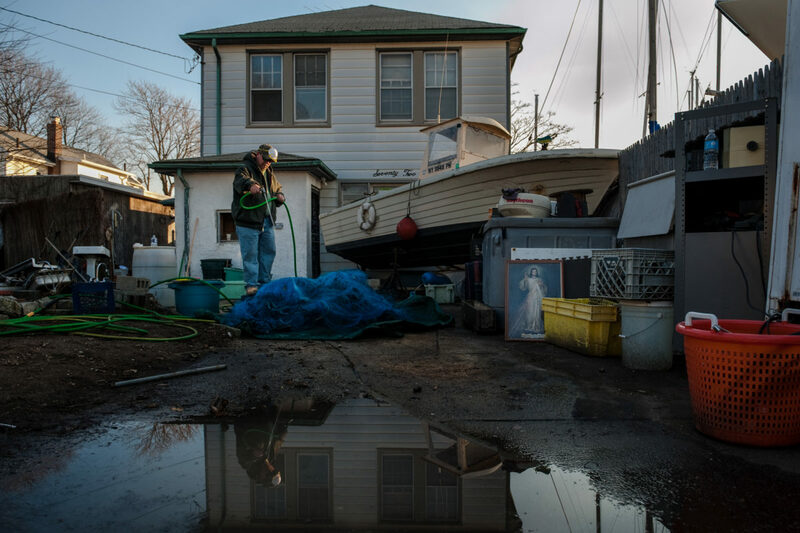 Nine months after Sandy hit James still hadnt received substaintial help from NYC government. 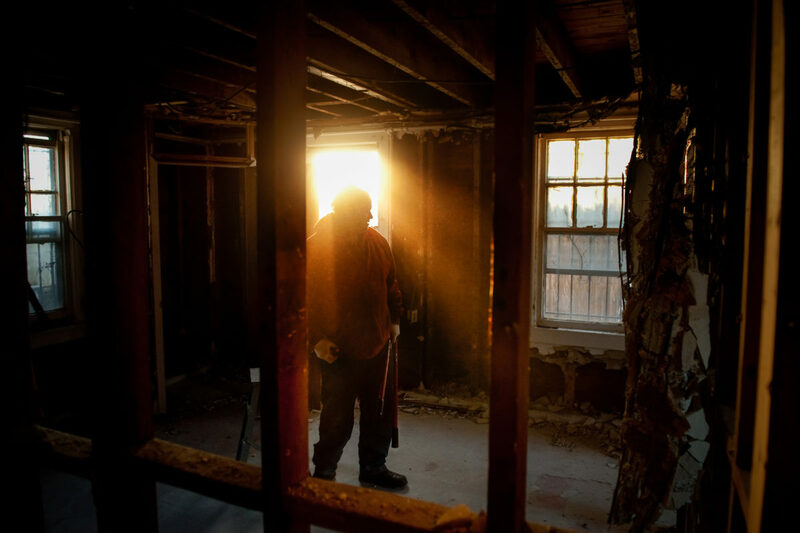 He began to rent a room at an SRO in Rockaway. James Culleton prepares for a day of fishing aboard his boat, the Easy Rider, in Howard Beach, Brooklyn in the summer of 2013. After a long and troubled winter, Jamess regains some normalcy in his life by returning to the water. July 30, 2013. Its a way of life. James Culleton. July 30, 2013. 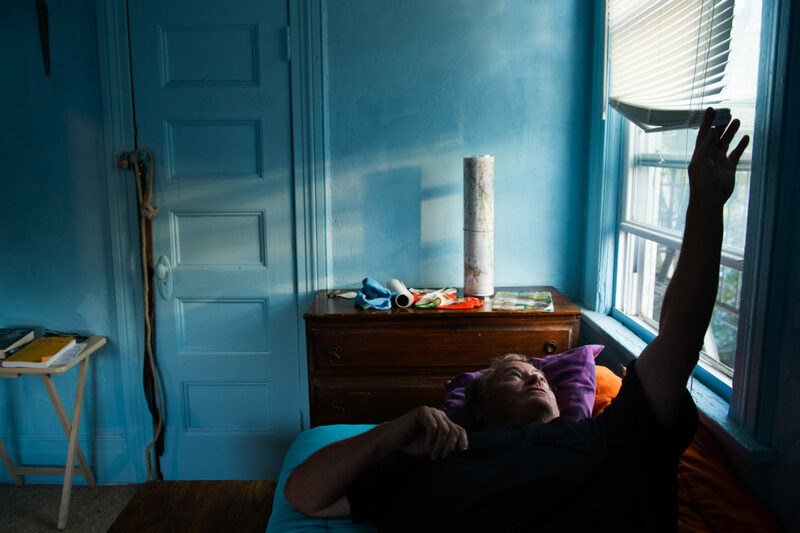 After a morning of fishing, James Culleton takes a moment to rest in his room at the single room occupancy residence in Rockaway Park. Maybe the storm was a good thing. Maybe itll bring more fish. Maybe it got rid of a lot of debris out there. I dont know, stirred up the bottom and brought some life in. Well find out. James Culleton. August 27, 2013. 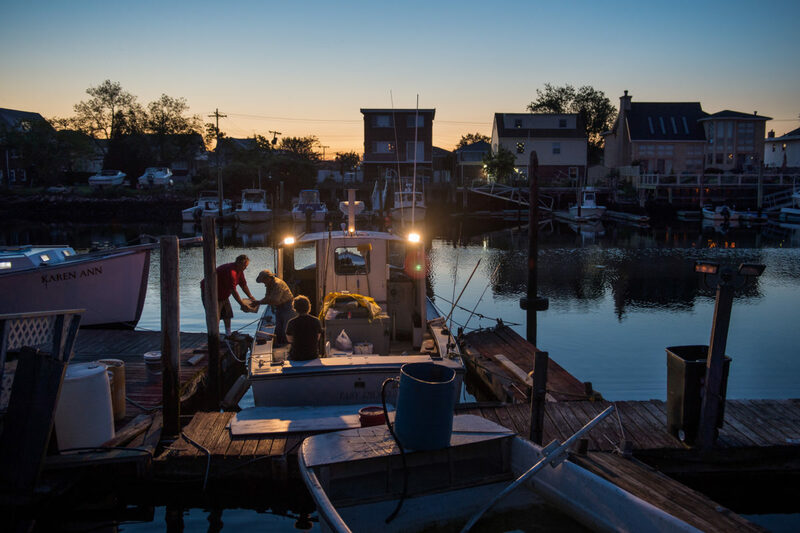 It took thirty years of fishing Jamaica Bay for James “Frank the Fish” Culleton to build his home and business, and it took only one night for the bay to reclaim them. 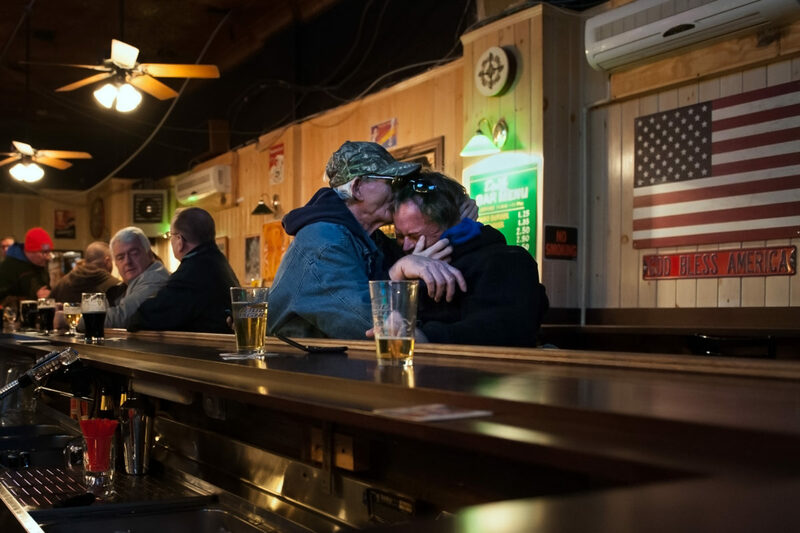 Devil in the Night, shot in the year following Hurricane Sandy, chronicles the lasting mental and physical losses James endured as one of Rockaways’ few remaining commercial fishermen. His relationship with the water is unique in that it is the prism through which he views his entire life. 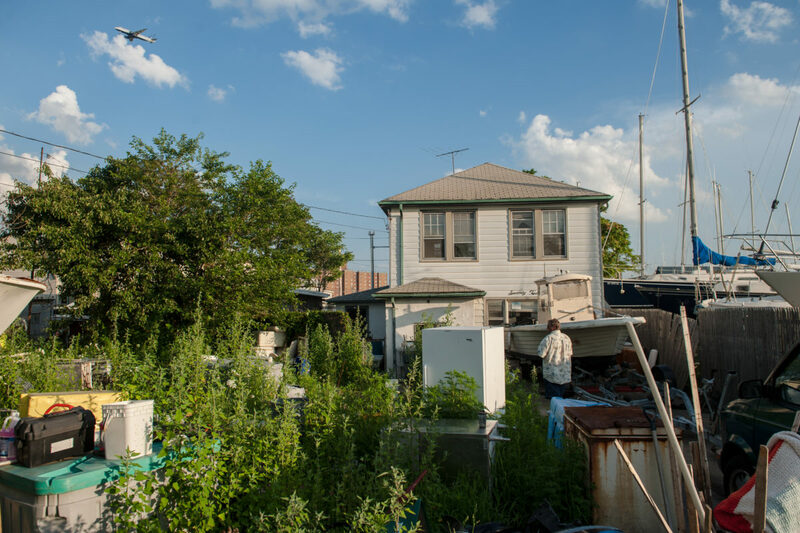 James’s home was located at the end of dead-end street that emptied into Jamaica Bay. In October 2012, Hurricane Sandy generated the highest storm surge ever recorded in New York, at nearly 14 feet. It easily overwhelmed James Culleton’s property. He had used sheds on his property to store his all of his fishing equipment from boat electronics to frozen bait and previous catches. He lost it all. 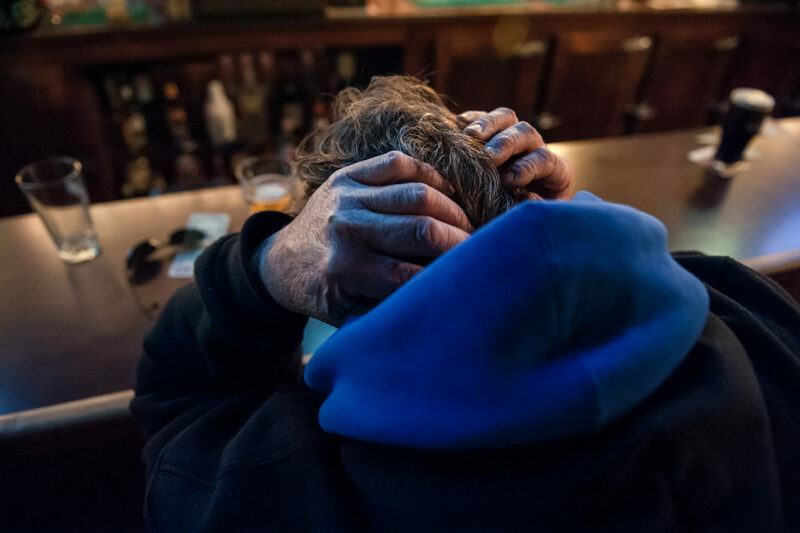 While New Yorkers engaged in a philosophical debate about climate change and who and where people should be allowed to rebuild, James Culleton became homeless. The Federal Emergency Management Agency evicted Frank from the hotel they provided in February 2013. For months afterwards, James stayed with friends and fellow fishermen, or slept in his truck outside the local police station. Five years later in 2018, The United States of America has officially withdrawn from the Paris Accord on climate change. 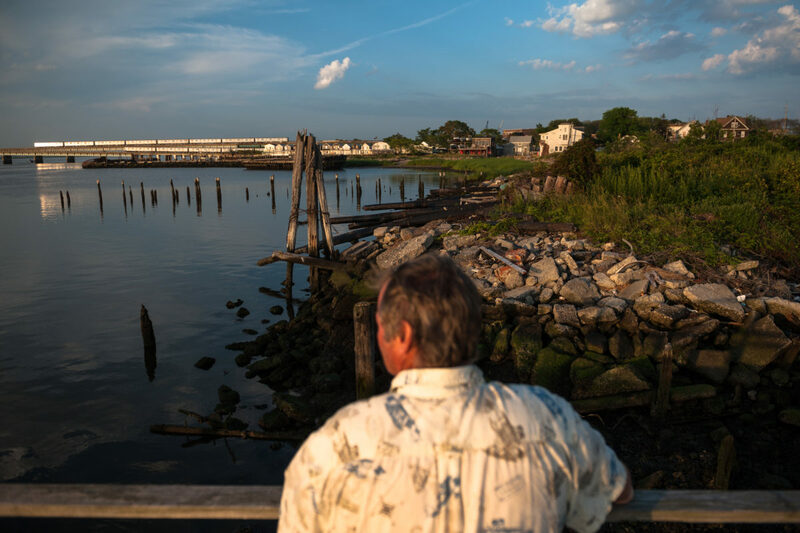 According to the Internal Displacement Monitoring Center each of the years since 2008 an average of 24 million people have been displaced to “catastrophic weather disasters.” James Culleton’s story is not an outlier; with alarming frequency his story is becoming a conventional representation of coastal living.